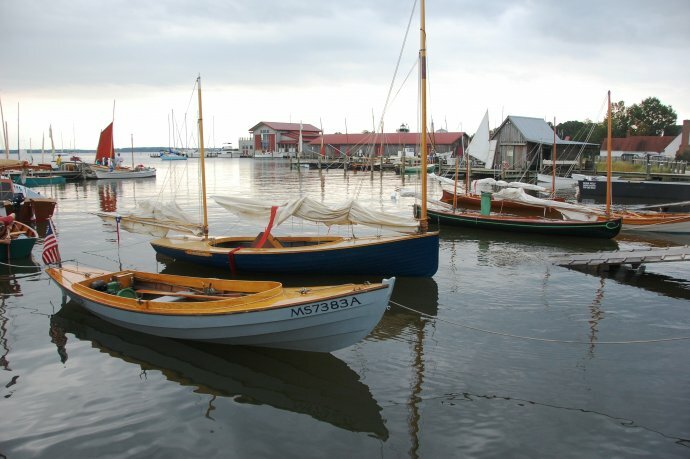 Small boats, big fun at Mid-Atlantic Small Craft Festival XXXV in St. Michaels, Md. On Saturday, October 6 & Sunday, October 7, 2018, the Chesapeake Bay Maritime Museum will host one of the nation’s largest gatherings of small boat enthusiasts and unique watercraft at the Mid-Atlantic Small Craft Festival XXXV. Hundreds of amateur and professional boatbuilders and enthusiasts come from all over the region to display their one-of-a-kind kayaks, canoes, and other traditional small craft,. Sailing skiffs, rowing shells, kayaks, canoes, paddle boats, prams, and one-of-a-kind boats will be on display and in the water throughout this family-oriented event. Small craft owners hailing from all over the country will also be available to share their knowledge and boating experiences with guests. Scenic river cruises aboard the 1920 buyboat Winnie Estelle, along with food, and beverages will also be available to round out the weekend festival. Museum boatyard staff and Chesapeake Wooden Boat Builders School instructors will be on hand Saturday to offer boatbuilding workshops and maritime demonstrations. Beginning at 1 p.m. on Saturday, a lively Miles River race of small craft can be watched from the museum’s waterfront and docks. Festival-goers can also vote for their favorite boat, with the People’s Choice award and others announced among participants on Saturday evening. On Sunday, festival-goers are also invited to bring nautical items to swap or sell at a traditional swap meet.